Many of you have likely never heard of us before. Sure, RadiationBurn We are a tiny little indie developer called comprised of two full time team members, Chantelle does the code, and Graham, does most of the other stuff. Thankfully we have enough friends and other local indie developers who help fill some of the gaps when the need is great, because that is just what indie devs do. So to cut a long story short. We made a game called The Living dungeon for Xbox One and PC. Then we updated it, and then we updated it more. It even got a few great reviews, especially after the first big update. There is also another small matter to address: our next game. It’s a zombie apocalypse, base management card game! I did mention we made unusual games right? . 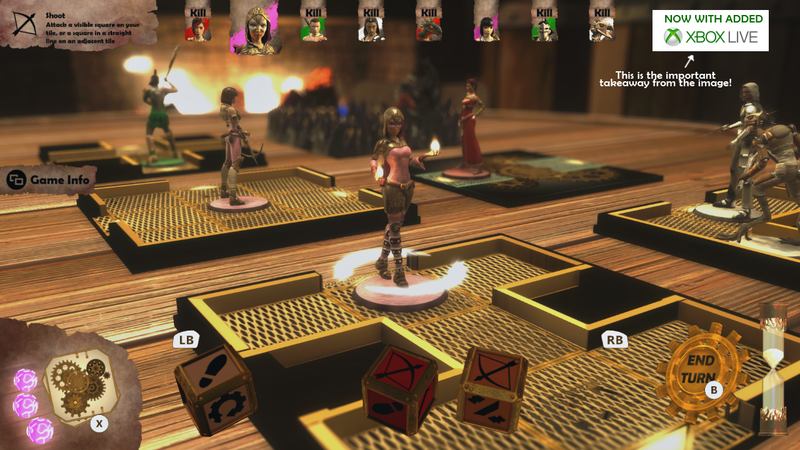 Again, it would be fabuloustastic if people knew it existed as it just went up on Steam Greenlight and we’ve love to get a few votes from people who are into card games. It won’t be to everyone’s taste, and I even imagine we’ll get some hate from the anti-tabletop crowd, but it isn’t a rock simulator and card games are fun even when they don’t have a fancy license dammit! and the website for DeadExit. If things go well we’ll be putting up a nice little “Make your own” version of the both games with printable(and in some cases 3d printable) assets. Both games started as tabletop games we played with friends and strangers for years before we made them into video games. So go forth armed with this new knowledge and help spread the word. we very much appreciate every mention we get. Thanks, and feel free to contact us on social media twitter, facebook, and instagram.